Huron Solutions Business Consulting – Southwest Agricultural Conference 2014 a success! Despite the worst winter storm in 40 years up in Bruce, Huron and Perth Counties, and the coldest weather I have ever experienced, SwAC 2014 still went ahead in Ridgetown and was a real success. It was filled with information on the latest research and lively discussions. 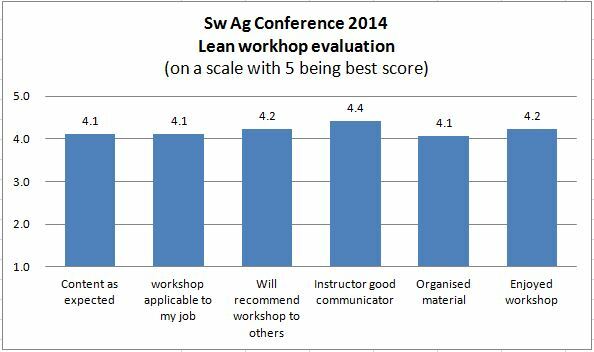 I was invited to do a workshop on Lean Principles and how it could be applicable to the agricultural industry. These principles which originated from the Toyota Production System have been adopted in many industries as low cost and very effective tools to increase value and productivity. You can find the handout summary at this link. Feel free to contact Huron Solutions for more info.